After Ravens coach John Harbaugh insisted Monday that Baltimore had already turned its focus toward its next game, he acknowledged that beating Pittsburgh on Sunday night was pretty darn special. OWINGS MILLS, Md. (AP) — Some early season NFL victories are more meaningful than others, especially one within your own division, on the road against your biggest rival. So, after Ravens coach John Harbaugh insisted Monday that Baltimore had already turned its focus toward its next game, he acknowledged that beating Pittsburgh on Sunday night was pretty darn special. 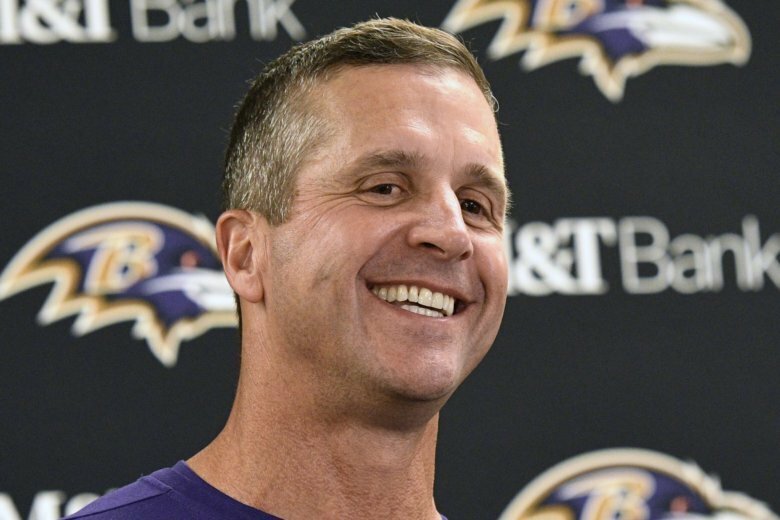 Yes, there’s more than one reason why the 26-14 victory was so satisfying to the Ravens (3-1), who moved into a tie with Cincinnati atop the AFC North. Pittsburgh has captured the last two AFC North titles and three of the last four, earning a wild-card berth with its second-place finish in 2015. The Ravens, on the other hand, have gone three straight years without a playoff berth. Perhaps this victory could serve as a step in that direction. Not to mention solid play by the special teams. Justin Tucker accounted for all the game’s points in the second half after the Steelers rallied from a 14-0 deficit to pull even at halftime. It all added up to a feel-good victory that made Monday in Baltimore a bit easier to tolerate. For those who slept through it, the recap is simple: Baltimore held the ball for 21 ½ minutes, limited the Steelers to three first downs and did not allow Pittsburgh to get past midfield. With one-quarter of the season over with, it’s hard to determine the Ravens’ identity. At times, they’ve been an offensive powerhouse, at other times a defensive steamroller. Joe Flacco threw for 363 yards and two touchdowns against the Steelers and now has eight TD passes compared to a pair of interceptions. The defense, meanwhile, hasn’t given up a touchdown in the second half. Cornerback Jimmy Smith returned to the team Monday and will practice this week after serving a four-game suspension from the NFL for using performance enhancers. The Ravens expect Smith will be ready for Sunday’s road game against Cleveland (1-2-1). “If he’s in shape and if he practices well and looks like he can go,” Harbaugh said. Baltimore also hopes to have tight end Hayden Hurst (foot) and defensive tackle Willie Henry (abdomen).